Torque rod bolts to 40-45 ft/lbs with oil using 2-step process. 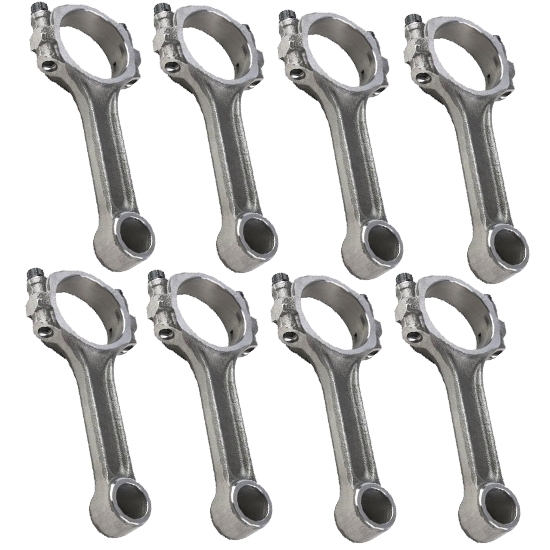 These 5140 forged steel claimer I-beam connecting rods for small block Chevys are heat treated, shot peened and magnafluxed for maximum durability. They are suitable for engines producing up to 500 HP. Features heavy duty 3/8" cap screws.